Fortitude Lodge actively undertakes charitable work as part of a wider effort by Middlesex and UK Freemasons and ultimately worldwide Freemasonry. In the last ten years the members of Fortitude Lodge have had enormous pleasure in raising over £25,000 for charity. You can find a partial list of these charities at the bottom of this page. Too often charity is only thought of in terms of giving money. It's also about identifying those in need and how we can help. Freemasonry teaches us that that charitable donations are the start rather than the end of one's obligation to society and many members take an active role in the charities they support personally. Each year the Master of Fortitude Lodge for that year chooses one Masonic and one non-Masonic charity to particularly support as a Lodge. This year our chosen charities are the 2020 festival supporting The Royal Masonic Trust for Girls and Boys, and WaterAid. Since the late 18th Century, the Royal Masonic Institution for Girls and the Royal Masonic Institution for Boys have helped relieve poverty and advance the education of the children of deceased and distressed Freemasons. The Trust took over the running of the former charities in 1986. At the time of the amalgamation, the Trust had 749 beneficiaries on its books. In 2005 the Trust supported over 2,000 girls and boys at school, colleges and universities. Today its mission is has been extended to support other children in need when funds permit. 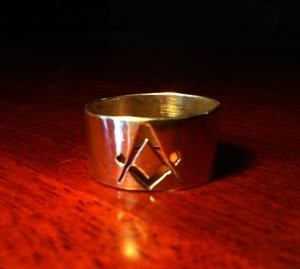 It stands as a jewel in the crown of Masonic Charity. The Freemasons' Grand Charity is a grant-making charity, which is funded by Freemasons and their families. Last year it gave grants totalling over £5 million to support people in need and fund the work of charities helping the wider community. Since 1981, it has made grants totalling over £85 million to thousands of individuals and national charities. The work of the Charity continues a commitment to charitable support that began nearly 300 years ago in the earliest days of organised Freemasonry. The RMBI has been caring for older Freemasons and their dependants for over 160 years. It operates 17 residential care homes across England and Wales offering high quality care. Many are registered for both residential and nursing care and a number offer specialist dementia care. RMBI also provide a care advisory service, short-stay breaks, respite care and limited sheltered accommodation. The Royal Masonic Benevolent Institution are committed to ensuring that the individuals’s right to dignity, respect, choice, and control over their own lives is upheld and maintained. Through their partners, they have reached 2 million people with safe water and 3 million people with safe sanitisation in 2015. 2015 was a breakthrough year in other ways too. Through a huge international lobbying campaign by hundreds of thousands of citizens, the world's leaders agreed to a set of 17 United Nations Global Goals for Sustainable Development. Goal 1.1 is to eliminate extreme poverty worldwide by 2030. Goal 1.6 contributes to that overall goal by providing sustainable safe drinking water and sanitation for all, by 2030. This is a huge step forward, because it will make access to clean water and safe toilets a central part of international development plans. Access to these basic but life-saving facilities can improve every aspect of a person's life, from their health and well-being to their education, employment opportunities and family life. World leaders made a commitment to work towards universal coverage by 2030. Not only does the world now have a target date for ending extreme poverty, we also have a list of priorities which could get us there in just 15 years. The agreement in 2015 marks the end of over three years of worldwide consultations and negotiations, in which the people most affected by poverty have had their voices heard. The #telleveryone campaign aims to make sure people everywhere know about the commitments that have been made, so they can can hold their governments and leaders to account. And although WaterAid knows there’s still an incredible amount of work to be done, to make sure the Global Goals stay on track and world leaders live up to their promises, they're thrilled that all their hard work – and your incredible support – has paid off, and taps and toilets are at the top of the global agenda where they belong. Raise a glass (of water) to the Global Goals! The British Heart Foundation is the UK’s number one heart charity. Their work has been central to the discoveries of vital treatments that are helping to change the face of the UK’s fight against heart disease. Prostate Action (now known as Prostate Cancer UK) was formed fr the merger of Prostate UK and Prostate Cancer Research Foundation in October 2010. Prostate Cancer UK continues to fund world-class research, education, training and support groups. Refuge offers a range of services which gives women and children access to professional support whatever their situation. Money donated to the charity goes directly to help women and children escape the danger and repair the damage done by domestic violence. Emmaus Communities enable people to move on from homelessness, providing work and a home in a supportive, family environment. Residents work full time collecting renovating and reselling donated furniture. This work supports the Community financially and enables residents to develop skills and rebuild their self-respect. Bury Lake Young Mariners, a voluntary youth sailing charity providing activities to 3,500 young people each year, including over 200 with profound disabilities. Teddies for Loving Care, providing soft toys to comfort very young patients in children’s Accident and Emergency hospital departments. Prince Michael of Kent Court, a residential care home in Watford offering support for those no longer able to live independently. Guide Dogs for the Blind, where we funded the complete cost of training a puppy to become an assistance dog for a blind person. Alzheimer’s Society, for research into this terrible disease, and support to the carers of those affected. Macmillan Nurses, who do such tremendous work supporting cancer patients nearing the end of their life, and equally supporting their loved ones. Michael Sobell House, a palliative and respite care centre for those with life-limiting conditions. Paul Strickland Scanner Appeal, providing the very latest diagnostic equipment to help identify the most effective treatment for those in the early stages of cancer. British Heart Foundation, researching circulatory illness and developing new treatments for previously fatal conditions. Over the past five years, British Freemasonry has raised more than £75m for a wide range of charitable purposes, including medical research, education, and relief for suffers of international disasters. In addition the almost 8000 individual Lodges in England and Wales provide substantial support to local charities of their choice. Freemasonry only raises money for charity from within its own organisation.